Our goal is to help you live your dreams and protect your family. 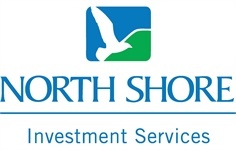 At North Shore Investment Services, we believe there are no shortcuts to developing a smart investment program, designed to meet your short and long term objectives with the peace of mind that you are taking control of your future, by planning today. Ability to defer income taxes through investment in tax deferred Annuities. Insurance to protect you against the unexpected. Receive expertise and guidance from one of our investment professionals. Diversify your portfolio through mutual funds. Explore how your current retirement saving might grow over time. See the results of how a change in contribution, or the rate of return may impact your investments. Review what your sources of income will be in retirement and how long they will last. Securities and insurance products are offered through Cetera Investment Services LLC (doing insurance business in CA as CFGIS Insurance Agency), member FINRASIPC. Advisory services are offered through Cetera Investment Advisers LLC. Neither firm is affiliated with North Shore Bank or its related companies. Investments are: • Not FDIC/NCUSIF insured • May lose value • Not financial institution guaranteed • Not a deposit • Not insured by any federal government agency. Investment Executives are registered to conduct securities business and licensed to conduct insurance business in limited states. Response to, or contact with residents of other states will only be made upon compliance with applicable licensing and registration requirements. The information in this website is for U.S. residents only and does not constitute an offer to sell, or a solicitation of an offer to purchase brokerage services to persons outside of the United States. Advisory services may only be offered by Investment Adviser Representatives in connection with an appropriate Advisory Services Agreement and disclosure brochure as provided. For a comprehensive review of your personal situation, always consult with a tax or legal Advisor. Neither Cetera, nor any of its representatives may give legal or tax advice.